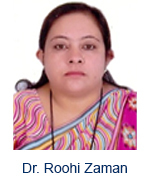 Dr. Roohi Zaman is a Reader in the Department of Ilmul Saidla (Unani Pharmacy) at National Institute of Unani Medicine Bangalore. She received her MD. Degree in Ilmul Advia from Rajiv Gandhi University of Health Sciences Bangalore Karnataka in 2008, worked as a Lecturer / Asst professor in Govt Unani Medical college Bangalore for 10 years then joined National institute of Unani Medicine as Reader since 04 Years, She is having 28 Years of Experience 14 years as Unani Physician in Govt of Karnataka, 14 years Teaching experience in UG and PG Dept, Her area of Expertise includes: Drug development and innovation of Unani dosage forms, Unani Cosmetology She is the author of ” Arts and science of Kushtasazi” and Co author of “Unani Therapeutic Index” published by Dept of AYUSH, Govt of Karnataka. Dr. Kashinath Samagandi is Assistant Professor in the PG Department of Swasthavritta and Yoga, National Institute of Ayurved, Jaipur (Govt. of India, Ministry Of AYUSH). 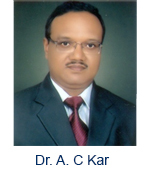 He completed UG from the Taranath Government Ayurveda Medical College, Bellary (Karnataka) and received his M.D. Degree in PG Department of Swasthavritta and Yoga, SDM college of Ayurveda and Hospital, Hassan (Karnataka) in November 2008. Then he worked as a lecturer in Department of Swasthavritta and Yoga, SDM College, Hassan. Since July 2010 he is working in National Institute of Ayurveda, Jaipur. 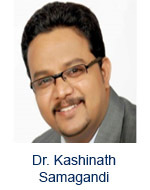 He is having 9 Years of Experience in the field of UG, PG & research teaching. His Area of Expertise includes: Lifestyle management, Ayurveda dietetics & Yoga, He is the author of 7 books on Swasthavritta, Yoga and Ayurveda Dietetics, He accomplished the 1 month training programme on Basic neurophysiology in YOGA under in ICMR, SVYASA Bangalore. He is recipient of Ganga Sahaya Joshi “Ayurveda parangata Dhanwantari Award” by the Vedic samskriti pracahara samhiti, in the presence of state cabinet minister of women and social welfare justice, Dr.Arun Chaturvedi Jaipur on 21:08:14 (Guru Poornima). Delivered 25 guest lectures in various national events and penned more than 25 articles in national and International journals. Received many best paper awards in the International seminars. 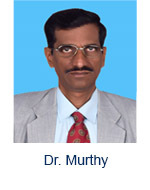 Dr. Murthy is Associate Professor in Department of Kayachikitsa, Faculty of Ayurveda, BHU, and Dr. Narasimha Murthy actively involved in Patient care, Conceptual and Clinical Research in Ayurvedic Psychiatry and Psychosomatics, Ayurvedic Neuro-Psychiatry, Ayurvedic Psychotherapy, Yoga therapy, Panchakarma therapy, Ayurvedic Diabetology, Ayurvedic Immunology, Ayurvedic General Medicine, Ayurvedic Pharmaco-therapeutics, Sports Medicine, Spiritual Medicine and Medical Astrology etc. Dr.Parameswarappa Shivappa Byadgi P S is working as a teacher in the area of Roga Nidan(Ayurvedic diagnostics) since 13 years. Byadgi began his teaching since 2000 and has been writing books and publishing many articles.Having expertise in research related to rogi-roga pariksha(clinical examination tools) and their applied aspect; clinico-etiopathological studies of diseases in relevance to present clinical knowledge; studies of prakriti, genes and their correlation to Diabetes Mellitus and a scientific approach to fundamental principles of Ayurveda. Byadgi earned BAMS degree in the year 1995 from Karnataka University, Dharwad and completed internship from Ayurveda Mahavidhyalaya, Hubli in the year 1997 and joined M.D (Ay.) RogaVijnan & Vikriti Vijnan in the year 1997 and completed post graduate degree from Calcutta University in the year 2000 and later joined for Ph.D in Kayacikitsa in the year 2001 and completed post doctor degree from Banaras Hindu University in the year 2003. Dr.Byadgi did his post graduate work on Amavata( Rheumatod Arthritis) and post doctor research on leishmaniasis both at BHU and CDRI, Lucknow. 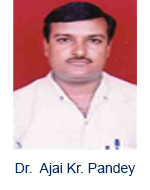 Advisory board member for International Journal of Research in Ayurveda & Pharmacy and serving as an editorial board member of reputed journals-- Journal of AYUSH: Ayurveda, Yoga, Unani, Siddha and Homeopathy (STM journals), Journal of Medical Science & Technology (STM journals), A Journal of Medicine (STM journals) and AMERICAN JOURNAL OF RESEARCH IN BIOLOGY -AN INTERNATIONAL OPEN ACCESS JOURNAL. Reviewer for articles published in JAIM, AYU and STM journals. Delivered guest lecturers in CME /RoTP/conferences/seminars/colleges and participated as Chairman/co-Chairman/Rapporteur/Observer/Evaluator/Discussant/Programme Convener/Dy.cordinator in various conferences/meetings/congress. Life membership certificate received from AAPI, Indian academy of yoga. Dr.Byadgi published 105 papers and 17 full papers in seminar proceedings. He also published 9 books and wrote 10 chapters in a book and contributed significantly for MD scholars and Ph.D scholar research work as a supervisor as well as co-supervisor and guided them to publish their work in reputed journals. Presently working on the area i.e. relationship between Genes, Prakriti and diseases and their role in diagnosis and treatment. Effort is continuing to provide scientific explanation to fundamental principles of Roga Nidan. Dr.Byadgi P S lives in BHU, Varanasi.